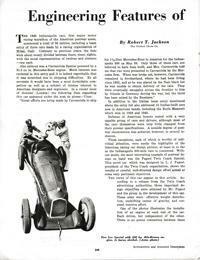 In 1946, after WWII, the Indy 500 resumed. 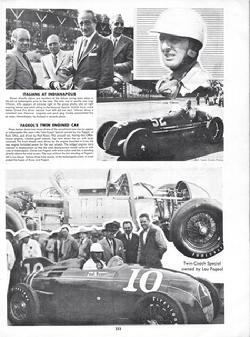 Lou Fageol had a new idea. 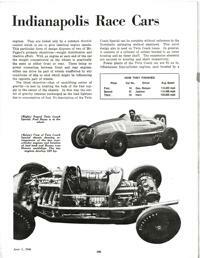 His Indy car would sport two 90 c.i. 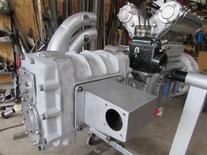 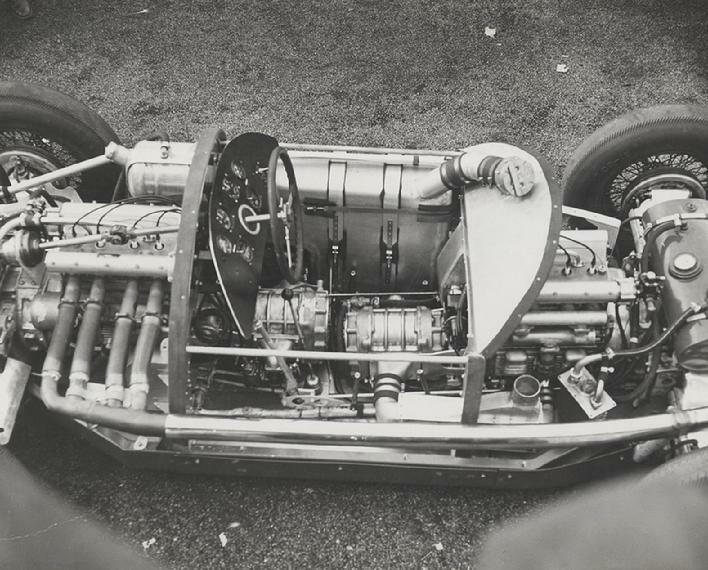 supercharged Offy midget engines. 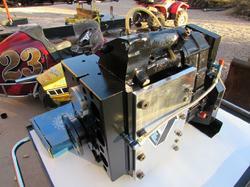 One in the front to drive the front wheels and one in the rear to drive the back wheels. 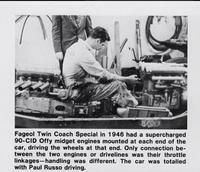 Driver Paul Russo, qualified the Fageol "Twin Coach Special" in second place, but crashed in lap 17 of the race. 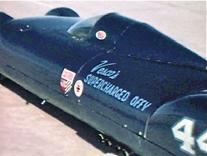 Johnny Vesco acquired the rear Offy and ran it in the Vesco family streamliner #444, Don Vesco at the wheel, setting a landpseed record of 180.90 mph in 1969. 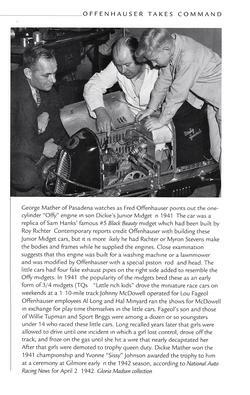 According to our research the two Fageol engines were the only ones produced by Offenhauser that year. 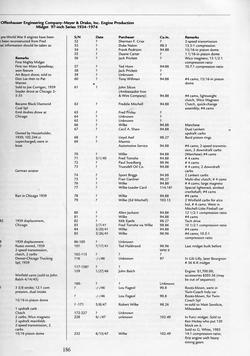 The Fageol "Twin Coach" two 90.88 c.i. 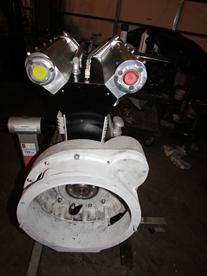 Offys. 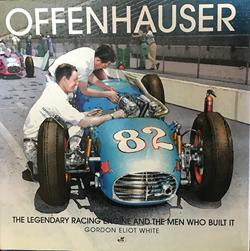 Article from "Automotive and Aviation Industries"
Paul Russo drove the "Twin Coach Special"
Gordon White's book traces the history of Offy engines produced and sold between 1934 - 1974. 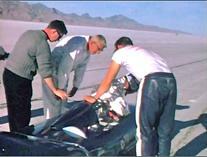 Johnny Vesco (left) and Rick Vesco (right) tuck driver Don Vesco into the cockpit at Bonneville. 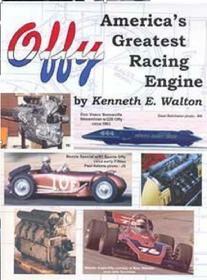 The Vesco streamliner was featured on the cover of Kenneth Walton's book, "Offy - America's Greatest Racing Engine"
This transmission has internal oil pump, "Don Vesco" modified for use in the twin engine turbo Offy #111 Streamliner which ran in 1991 @ 397 mph at Bonneville. 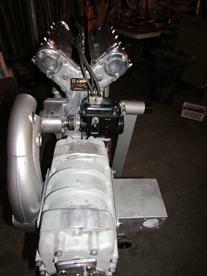 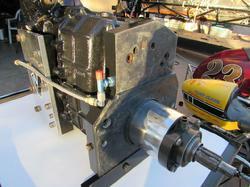 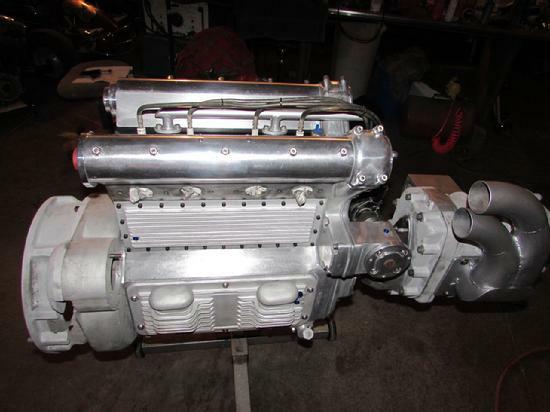 It has a Chevy 10 spline pilot shaft and standard bell housing bolt pattern and register. 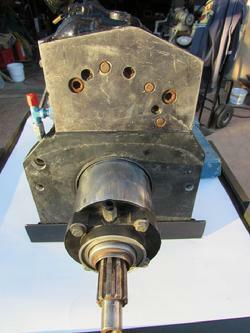 It has a hydrolic throwout bearing. 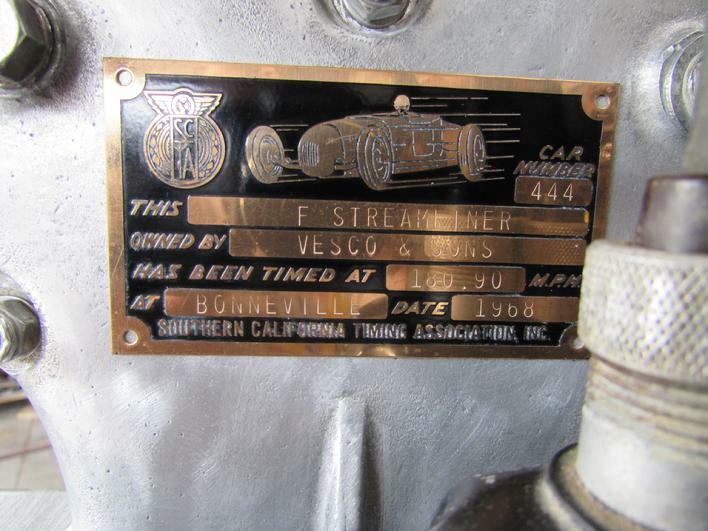 Team Vesco supports "Save the Salt"